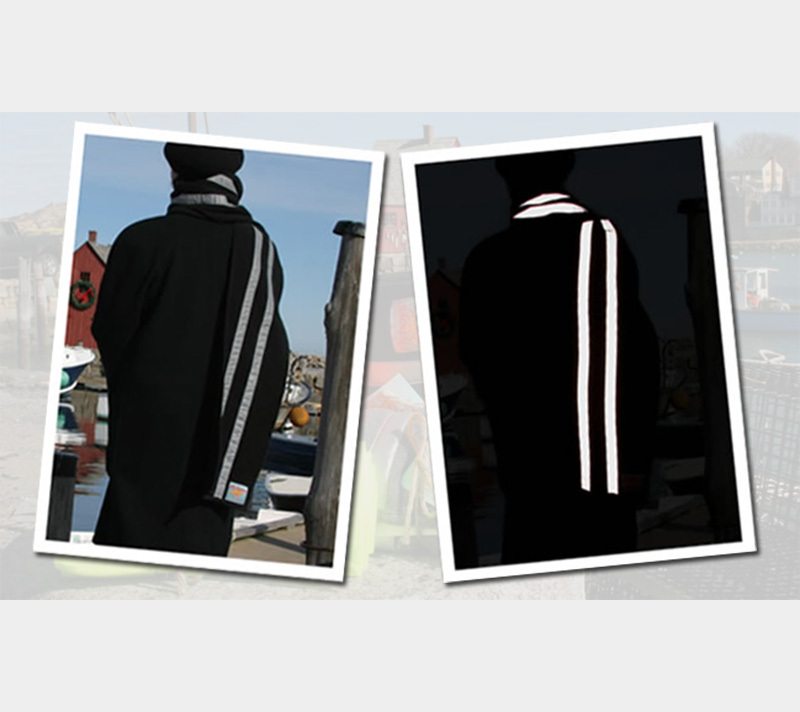 The FLYBOYS BY BULLSEYE™ reflective scarf is a practical alternative to other reflective wear garments and devices that are worn outside when it is dark. The size, design, materials and fabrication were thoughtfully done by its creator who is also an avid walker, so that the scarf will be a pleasure to own and use for many years. 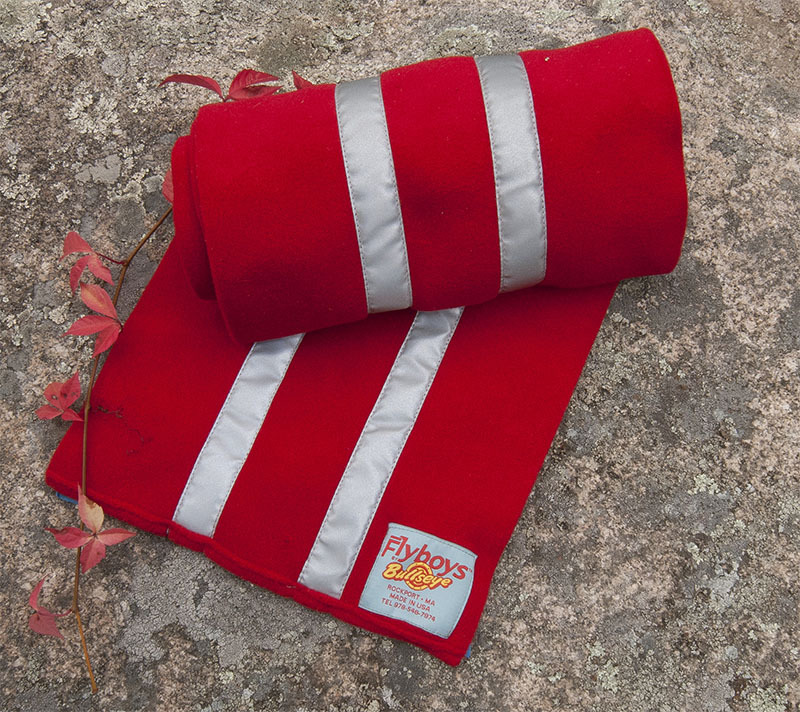 FLYBOYS BY BULLSEYE™ uses 200 weight Polartec® fleece manufactured by Malden Mills in Lawrence Massachusetts and 3M Scotchlite™ Reflective Material exclusively, as they have been found to be the best material choices for the scarf. The 200 weight Polartec® fleece has enough body, is soft, warm, stretches and is flexible enough to accept the reflective tape and comes in a wide variety of colors. 3M Scotchlite™ Reflective Material will not bunch or wrinkle, and is designed for use on safety garments, athletic and casual wear. It stays reflective under the darkest conditions, even if only a fragment of it shows. The scarf can be machine washed.